Here’s the first 7″ we’re covering from our new friends over at Windian Records. It’s a repress of the debut release from THE PENETRATORS, which was originally recorded back in 1976 and later released by Fred Records in 1979. We have the pleasure of bringing this one to you to courtesy of Windian Records, who have just began what looks like a series of represses and reissues from this crucial Syracuse garage-punk band. We’re not entirely sure what else is planned to be reissued, but it involves previously unreleased material besides this 7″ here, so if that sparks some interest in you you might want to look into it before it’s too late! “Gotta Have Her” is where it all began and works as their first defining moment as a band, wherein they appropriately give themselves a proper introduction, greeting Syracuse before announcing the name of their band and the song that follows. “Gotta Have Her” is an obviously lovesick story about the new chick in town, where Jack Penetrator promises he’d rather throw his textbooks away than ignore this girl. All sorts of danceable and invigorating guitar licks plague this track from front to back, with each energetic lick howling a bit more than the last. Jack Penetrator yelps with urgency and authority as the track rolls along, culminating into this perpetually electrically charged garage rock jammer that gets better and better with every listen. Flipping the 7″ shows even more grit and promise from a band that was young over forty years ago, where all sorts of sharp and spiny guitar leads make for a much more rowdy spirit than the first. The guitar infestation of this track comes through in many forms, which can ultimately help answer why the Penetrators are known as the “kings of basement rock” – because in the long run, such guitar work is the element that makes each of these songs such a relentlessly restless listen. The internal urge to get up and move only grows as these songs continue to slay in every sense of the word. BUY the 7″ directly from Windian Records – limited to 500 ! 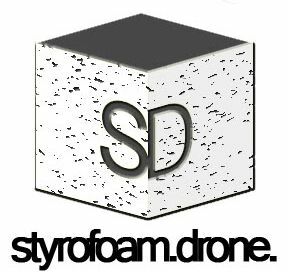 Posted on October 12, 2011 by styrofoamdronePosted in 7", ReviewsTagged garage rock, punk.